Caring for Your Child’s Pearly Whites: Test Your Knowledge! Choosing the right dentist for your child is not as easy as it may seem. All patient-dentist relationships are built on trust, a comfort level, and a sense of personal connection and understanding. So, finding a practice that works for both the child and the parent is imperative. 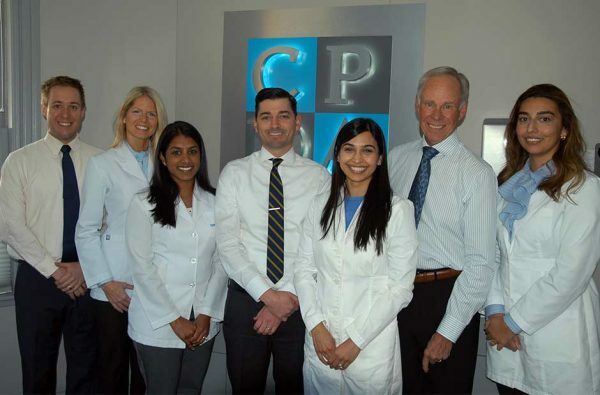 Since 1970, Cambridge Pediatric Dental Associates (CPDA) has provided comprehensive dental services for children, along the way earning the trust of parents who want their children to have the best possible dental care in the most comforting environment. Their practice is geared toward providing personalized treatment while helping children develop positive, confident attitudes about their dental health. Parents should take their child to the dentist after all their “baby” teeth have come in. False. Cambridge Pediatric Dental Associates agree with the American Academy of Pediatrics and American Academy of Pediatric Dentistry guidelines that a child should make a first dental visit by the age of one. Establishing a trusted dental home while a child is young has been shown to reduce the risk of adverse oral health outcomes. Early childhood dental visits highlight the importance of a child’s overall health and wellbeing. True. A good foundation for dental health includes dietary counseling and guidance to benefit the child’s overall oral and systemic health. Parents should not use fluoridated toothpaste for their toddlers because they don’t always spit it out. False. Dr. Fatima Aziz, a CPDA pediatric dentist (and a mother), says, “It’s very important for children to use fluoridated toothpaste to keep their teeth strong and healthy, even if they cannot spit it out.” Parents just need to use the proper amount for the age of their child. During early visits, pediatric dentists provide tips and tricks for teething children. True. With a plethora of teething supplements, gels and gadgets on the market, parents may not know which of them can help. A good pediatric dentist shares information gained through evidence-based learning in their specialized programs. Pediatric dentists receive extra training to better understand children’s psychological and physical development. True. Two additional years of dental training are required to specialize in pediatric dentistry. The additional training makes pediatric dentists experts in meeting the unique needs of children’s dental care. It also enables them to tailor treatment needs and create a positive association with dental visits, which is vital. Adult dental anxiety often comes from a negative experience or lack of experience with dentistry. It often leads to dental avoidance and poor oral health. Finding the right pediatric dentist early on will help a child create a good relationship with dentistry that they carry with them through life. Nothing a dentist can do can help minimize the need for full orthodontics in the future. False. Pediatric dentists can monitor each child’s dental development and identify the developing orthodontic problems that may benefit from early intervention. When appropriate, early treatment may eliminate or shorten the duration of future orthodontic care. Parents should discourage thumb-sucking and the use of pacifiers for children age two and older. False. Dr. George McEachern, CPDA’s founder, believes that trying to break a habit too early could prove detrimental to a child. He believes the optimal time to end the thumb-sucking habit, and avoid long-lasting dental and orthodontic effects, is based on a mix of patient and parent readiness. It is important to focus on all aspects of pediatric oral health care. True. CPDA’s team of pediatric dentists and orthodontists take a comprehensive view of oral health care, including prevention, restorative and emergency care, interceptive and comprehensive orthodontics, airway and TMJ issues. This provides seamless comprehensive care for your child from infancy through early adulthood. In pediatric dentistry, extensive training and experience are necessary qualities to provide a broad range of oral care from infancy through adolescence. 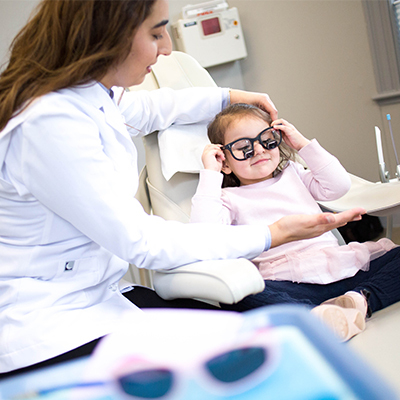 More importantly, the ability to understand, relate to, and connect with a child are vital, as these give children the confidence and a positive attitude toward dentistry that will result in a lifetime of healthy smiles. Contact Cambridge Pediatric Dental Associates to meet their caring, dedicated staff and learn about what they can offer you and your child.